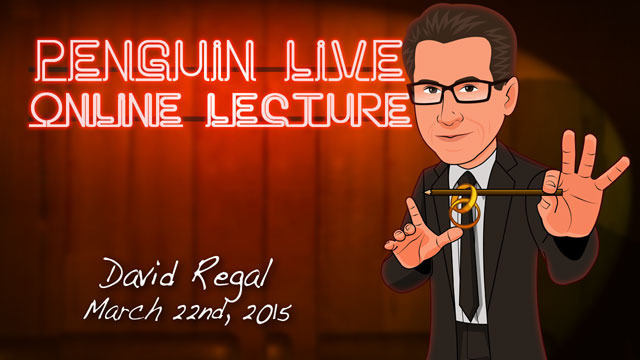 Today, when you order "David Regal LIVE 2", you'll instantly be emailed a Penguin Magic gift certificate. You can spend it on anything you like at Penguin, just like cash. Just complete your order as normal, and within seconds you'll get an email with your gift certificate. 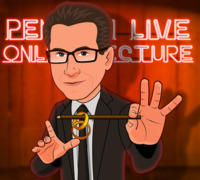 David Regal LIVE 2 (Penguin LIVE) Putting together a complete act filled with fantastic magic!SUPPORT LIVE MAGIC. DOWNLOAD THE FULL LECTURE TODAY. Clarity Box – Customizing the box, its workings and applications, plus a new routine. All-Good Card Warp – The classic effect… with all the hinky parts removed. Return of The Miser – Jerry Andrus’ brilliant Miser’s Miracle, with a new ending. My Friend’s New Place – My popular mouse chop cup routine, with a new easy-to-make prop. Close to My Heart – A brand new routine with a pocket-sized photo frame. Zig-Zag Card Box – An application of Tenyo’s Zig-Zag Cigarette to a playing card box. David Regal is a writer and magician. 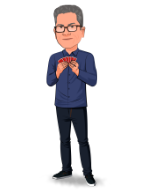 He is currently the magic producer for television’s The Carbonaro Effect, and the author of the critically acclaimed book Approaching Magic, in addition to the best-selling Close-up & Personal, and Constant Fooling (Volumes 1 and 2). His magic was also the subject of Star Quality – The Magic of David Regal written by Harry Lorayne. An alumnus of the comedy group Chicago City Limits, Regal has written for shows ranging from Rugrats to Everybody Loves Raymond. He has performed at the Magic Castle hundreds of times, is a two-time recipient of the “Lecturer of the Year” award from the Academy of Magical Arts, and has received the Academy’s Creative Fellowship. Tricks of his design are performed around the world. If you've never been to a magic lecture, there's never been a better time. Sunday, March 22nd, at 7:00pm, we're live-streaming David Regal LIVE in a spectacular 2-hour interactive online lecture. Watch, ask questions, and learn things you won't find in any book or DVD. Purchase the David Regal LIVE product. This is your ticket. On Sunday, March 15th, anytime before 7:00pm Eastern, click the MyPenguinMagic area at the top of the Penguin site. You'll see the livestream appear 1 hour before showtime. At 7pm sharp, David will hit the stage and begin his JAM-PACKED professional lecture. Ask David questions and discuss the tricks DURING the lecture. This lecture is one of my least favorite lecture it was a major disappointment. Clarity Box you almost have to buy the trick from david to use it. He then teaches a card to impossible location using a very well known and old principle. Then he half way explains Change for a Five. This can be found in better places DST and Approaching Magic. I am surprised to read these reviews that this was a great lecture. I felt like it was just a promotion for the clarity box. I didn't like a single trick . He just performed 3-4 tricks, all of them are 100 years old and boring. He sure added some twist but still doesn't make up for it. I am surprised that he was able to stretch it for 3 and half hours by repeating same point over and over , " PREMISE IS GOD". This is a great lecture. The routines are entertaining and well thought out. The explanations are precises and explained in detail without fluff. ....but the real gold is in the discussions with Dan. Intelligent, inspiring and thought provoking. What can I say, he is a genius. Too much to learn. Look what he does with a Tenyo magic!!! He thinks out of the box. Clarity box... he was the first one, then others tried to do some copies. The best of all is to figure out how he thinks. The performance was a bit shaky in spots, but the material and theory are top notch, and Dan Harlan keeps the interview interesting. David's thoughts on premise are essential to great magic. I enjoyed this video and will watch it often. This lecture will make you more interesting... Well maybe. This lecture talks about taking a trick and making it theatre. It's a great lecture and David talks about Premise which he believes is completely necessary. I totally agree with that statement. When you watch David perform people listen and are engaged. He makes them laugh along the way and basically gives you his full act he did at the Castle and explains the hows and whys. I COMPLETELY disagree with the comment saying it was an advertisement for the clarity box. In fact, David shows a method with the regular opaque container you could easily make at home. If you are a person looking for tricks... Sure, he teaches some really interesting stuff you may like for a parlor performance. Honestly though, you'll never be satisfied with your journey if all you do it buy the "next great thing." Instead learn how to make your magic more interesting and engaging. You can start that journey by getting this lecture and studying his approach.